Learning how to find a publisher is often the last challenge aspiring authors face. It's never been easy, and it hasn't become any easier in recent years. But it's also not impossible, especially if you have a good manuscript. For novels, you cannot begin looking for a publisher until you have finished and polished a manuscript. Writing a novel is a difficult task and lots of things can go wrong along the way. For this reason, many people start writing a novel but never finish. Publishers are very aware of this phenomenon and don't want to waste time looking at unfinished work. 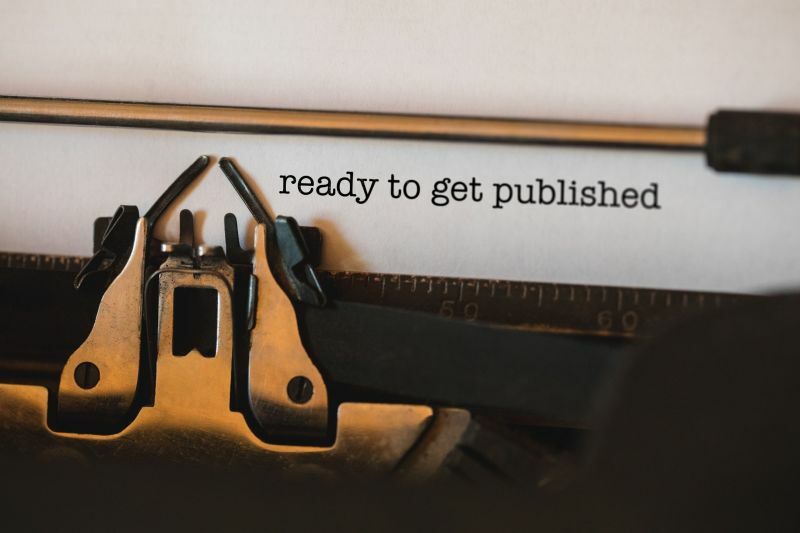 Even if you are very confident in your project and want to save time by learning how to find a publisher right away, it is still in your best interest to complete a manuscript first. One of the worst nightmares a writer could face is getting a request from a publisher for a manuscript that is not finished and having to complete it in a very short time. You cannot do your best work under such. If you are writing a non-fiction book, you can skip this step. Once upon a time, the process of finding a publisher meant sending hard copies of a complete manuscript to various publishers (one at a time) along with a cover letter introducing yourself and explaining your desire to have them publish your book. Today, most publishers refuse to look at unsolicited manuscripts (i.e. manuscripts they have not specifically asked to see). Some may look at manuscripts only at certain times of the year. And most have certain genres they are interested in publishing and will not look at anything else. So your task is to get a publisher to request to see your manuscript. The way you do this is to first prepare a proposal and a Query Letter. Here's where novelists have things a little easier. A proposal for a novel consists primarily of the first three chapters. These give publishers the opportunity to see how well you write, the style of the book, and how skilled you are at developing your plot and characters. Some publishers will also want a brief outline or Synopsis (which is much easier to write if you have finished the manuscript – see above). In addition, you will need to provide a detailed outline, including a table of contents and summaries of each chapter. You send your proposal, along with appropriate query letters, to agents asking if they would be willing to represent you in selling your book to a publisher. True, you could query publishers directly. Some publishers will look at unagented books, especially if they fall into one of the niche categories that agents generally do not touch. (Agents are only interested in books with the potential of selling enough copies such that the agent's commission compensates her for her time and effort. So if you are writing, for instance, a book of poetry that will only appeal to a very small audience, agents won't be interested in representing you.) Smaller publishers are also easier for writers to approach directly than the big five. If you decide you don't need an agent, you can move on to the next step. However, for books with the potential for great commercial success, for which you want one of the big five publishers, you may need an agent. Agents can get your proposal looked at much faster. They can save time by knowing which editors to approach, and they can generally negotiate bigger advances. This means more money for you upfront. It also means the publishing house will be more likely to promote your book – so it can earn back the money it gave you. Incidentally, Agent Query offers a trove of other useful information on how to find a publisher, which is worth browsing through. Preditors and Editors was once a particularly useful site, since it not only listed agents but also identified which ones were less reputable. Unfortunately, it has recently gone offline and is in search of a new editor. Look for agents who are interested in and/or have sold books in your genre. Every agent will have a website where they say what genres they are interested in. Don't waste time sending an agent a book in a genre they don't want to see. You can submit to more than one agent at once, even if some of them say they don't want simultaneous submissions. Just don't tell them you're doing it. Otherwise, if you submit to only one agent at a time, it could take months, if not years, before you find one who will take you on. However, you cannot sign with more than one agent. If you get an agent, he or she will present your proposal to publishers. If you don't have an agent, you may want to send your proposal to many publishers at once, even if they say they don't want simultaneous submissions. The reason is simple. A publisher can take six months to a year to get back to you, and you may have to go through dozens of publishers before you sell your book. Are you willing to spend 24 years getting published? Better to let many publishers look at your proposal at the same time. Prepare a short list of publishers who publish books in your genre for your target audience (e.g. young adult, literary, etc). Go to the website of each on and check their submission guidelines. Follow those guidelines exactly for each publisher. For non-fiction books: a publisher may offer you a contract based on your proposal. Publishers will want to see a complete manuscript of a novel before they make you an offer, just to be sure you actually have brought the story to a satisfactory conclusion. If you get an offer from one publisher, it would be polite to let the others you have submitted to know about it – just in case they want to make an offer themselves, but mostly also so they don't waste their time on it. You can only accept one offer, after all. And that, in a nutshell, is how to find a publisher. If you are persistent, and have a good book of the kind that publishers are looking for, you should eventually have success. However, don't be discouraged if the process takes a while. There are an awful lot of writers trying to get publishers to read their manuscripts. Even assuming your book is terrific, every publisher and agent receives thousands of proposals and manuscripts each year. Even though most of these are of poor quality or not what they are looking for, your terrific manuscript is a needle in a haystack, so it will take time to find the right publisher. You may paper your office wall with rejection letters before it happens. Being persistent in the face of rejection is the final lesson on how to find a publisher, one you can only learn by doing.